Home / Funny / Live / Standup Comedy / Video / Jose, Wally, AJ and Enchong Dee dances to "Teach Me How to Dougie"
Jose, Wally, AJ and Enchong Dee dances to "Teach Me How to Dougie"
Zirkoh Bar is truly a place where fun & laughter never ends. Located in Tomas Morato, Zirkoh is known to having hilarious comedy skits performed by the Philippine's top comedians to make the audience happy. 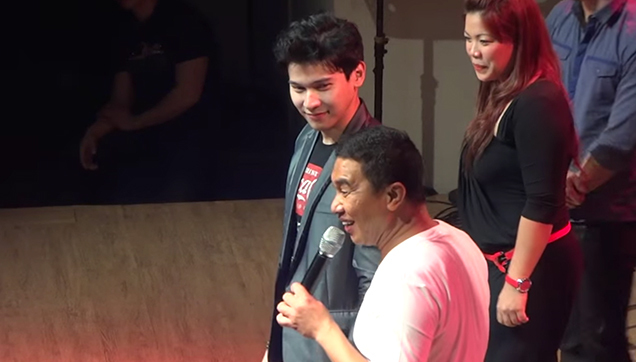 Jose Manalo telling the audience that he looked like Enchong in his younger years. 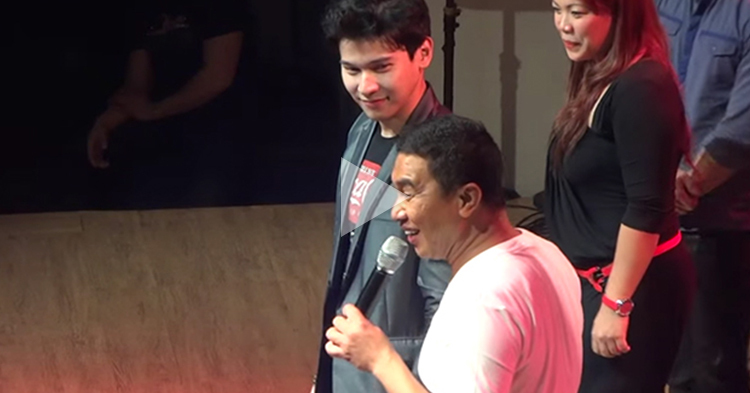 In the video, two of GMA 7's noontime variety show Eat Bulaga's main funny men, Jose Manalo and Wally Bayola, entertain the audience along with the Dee brothers, AJ and Enchong. Of course, it wouldn't be complete without audience participation so two ladies were up in the stage with them to join in the fun. The ladies, along with Enchong, danced along to the hit song "Teach Me How to Dougie" by American hip hop group Cali Swag District. Enchong did not disappoint as he really knew his moves as he danced the Dougie dance, moving his body in a shimmy style and passing a hand near his hair. The ladies, being game in doing what Jose asked, were rewarded with kisses from the Dee brothers.